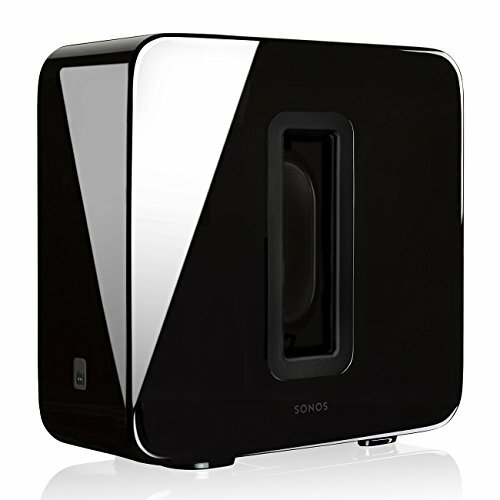 Add to your Sonos system for amazing room-filling, deep bass sound. Connects wirelessly to Sonos speakers. Works with Play:1, Play:3, Play:5, Playbar and Connect:Amp. Place it anywhere in the room, even lying flat under a couch. Two force-cancelling speakers positioned face-to-face offer deep sound with zero cabinet buzz. Adds dramatically deeper bass to any Sonos wireless speaker. Hear parts of the music you’ve never heard before. Connect wirelessly to PLAYBAR, PLAY:1, PLAY:3, PLAY:5, and CONNECT AMP.